Inventory We are a resale marketplace, not a box office or venue. Ticket prices may exceed face value. This site is not owned by Peace Center . 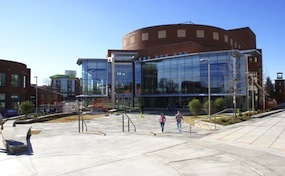 The Peace Center is located in downtown Greenville, South Carolina. The historic and beautiful Greenville has had a long history of significance. The fact that they have this beautiful theatre in the Peace Center should be evident that Greenville loves the Theatrical performance with traveling broadway performances like Wicked, The Jersey Boys, Les Miserables, and many more sold out performances are the norm. The Peace Center offers a quaint experience with approximately 2100 seats for the casual to more sophisticated theatre fan. CenterGreenville.com is not a primary vendor, supplier, or affiliated with any official website. We proudly provide access to the a vast supply of inventory online for all secondary market events. Ticket prices may be well below or above face value and will fluctuate with the market. To purchase tickets for all Peace Center Greenville events simply click on the show of interest or call our operators at anytime.